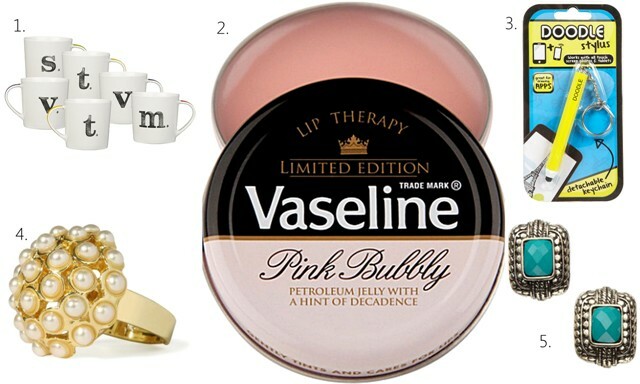 For the final part in my Christmas gift guides I'm looking at last minute stocking fillers under £10.00, so if you're still to buy those few last gifts or need some ideas for stocking presents read on! 6 - I adore this cute jewellery tree with little owls on from Paperchase. It has a tray at the bottom for holding your rings and is a bargain at just £6.00. 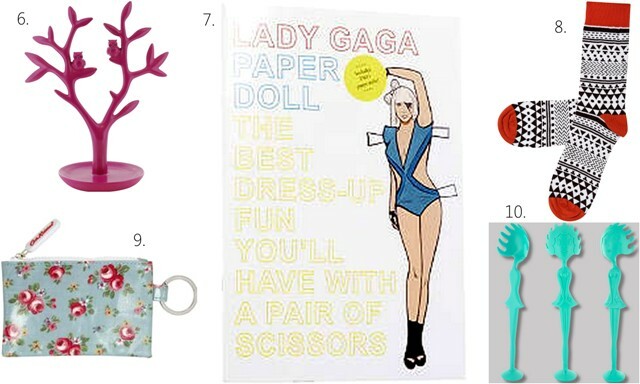 7 - This Lady Gaga paper doll sets reminds me of the paper doll dress ups I used to have as a little girl. The set contains 2 Gaga figures for you to dress up in a range of her lavish outfits! 8 - It wouldn't be Christmas without some new socks! Topman have lots of patterned socks for guys including this Aztec print pair for just £3.00!